A warm welcome to TRS, the region's leading oil tank suppliers and installers. 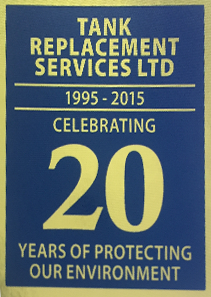 Our oil fired heating service department will be pleased to manage your annual boiler service. Our friendly staff will pro actively call you as your boiler service becomes due to arrange a convenient day to carry out he work. TRS are East Anglia's No.1 - Oil Tank Replacement, supplier. We are happy to supply only, or carry out a full installation service to both domestic and commercial customers in Norfolk, Suffolk, Essex and Cambridgeshire. If you need a new oil tank, please call us for a friendly advice and a no obligation quotation. We have a wide range of tanks in stock at competitive prices. Professional installation is carried out by our own OFTEC trained engineers. As a family business with over 20 years experience in the oil industry we can assure you of a very friendly service with the highest professional standards.